The Ease coffee table is a design by Terkel Skou Sandvik for the Danish company Million. The three-legged piece of furniture is characterised by a clear design language, as well as a high level of quality. Made of solid oak, the table has robust characteristics and introduces a natural woody texture enhancing any environment. 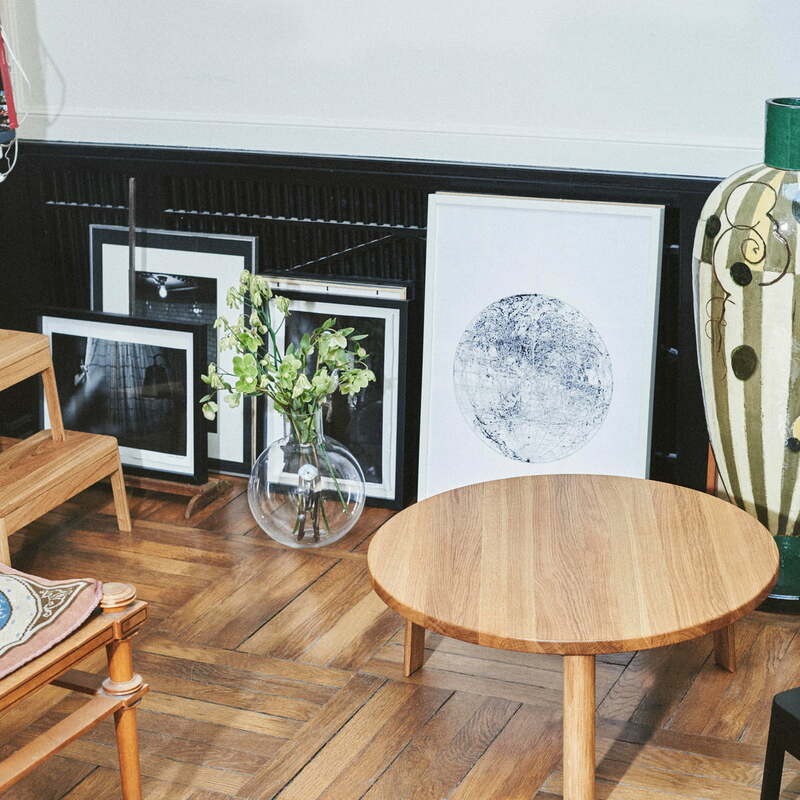 With its low height of 33 cm, the Ease Lounge Table is suitable as a classic coffee table, but can also be used as an alternative table or side table for plants and decoration. 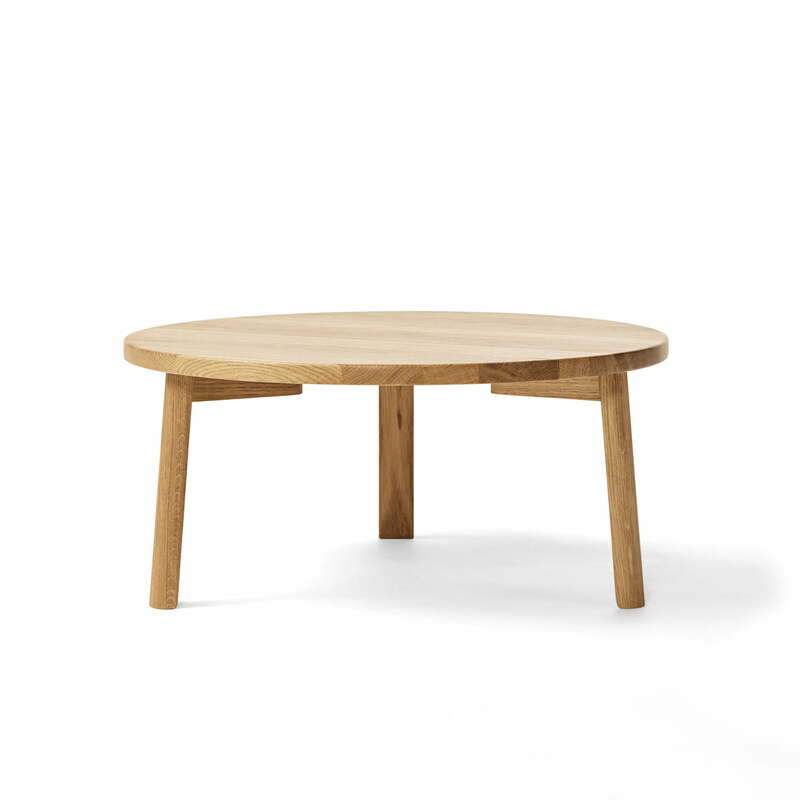 The table is available with a diameter of 70 cm or 90 cm. Isolated product image of the Million - Ease coffee table. Made of solid oak, the table has robust characteristics and introduces a natural woody texture enhancing any environment. Isolated product image of the Million - Ease coffee table. The three-legged piece of furniture is characterised by a clear design language, as well as a high level of quality. Isolated product image of the Million - Ease coffee table. 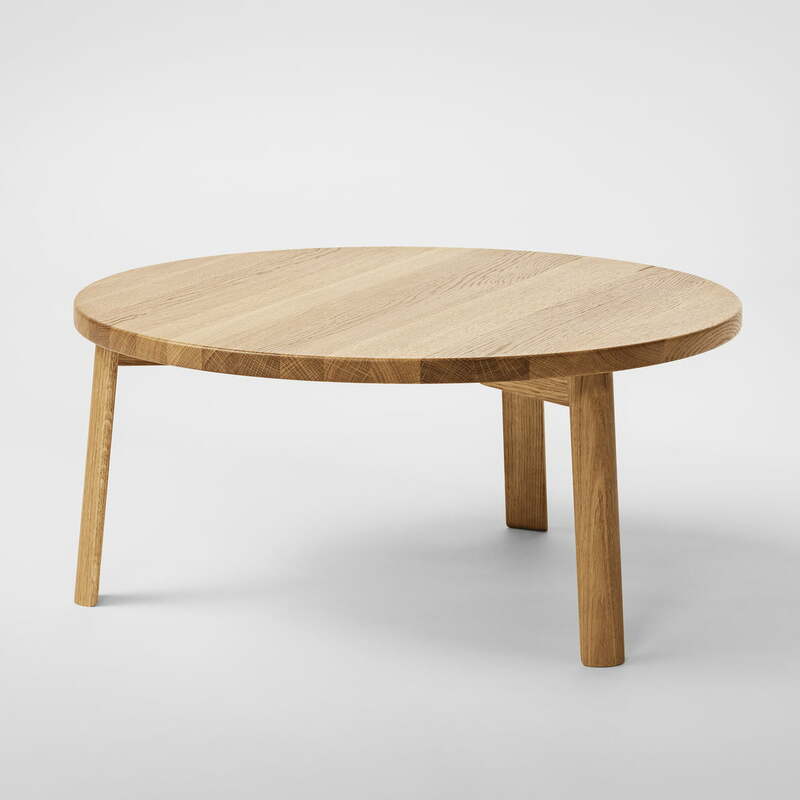 The Ease coffee table is a design out of natural oak by Terkel Skou Sandvik for the Danish company Million. Lifestyle product image of the Million - Ease coffee table. With its low height of 33 cm, the Ease Lounge Table is suitable as a classic coffee table, but can also be used as an alternative table or side table for plants and decoration.